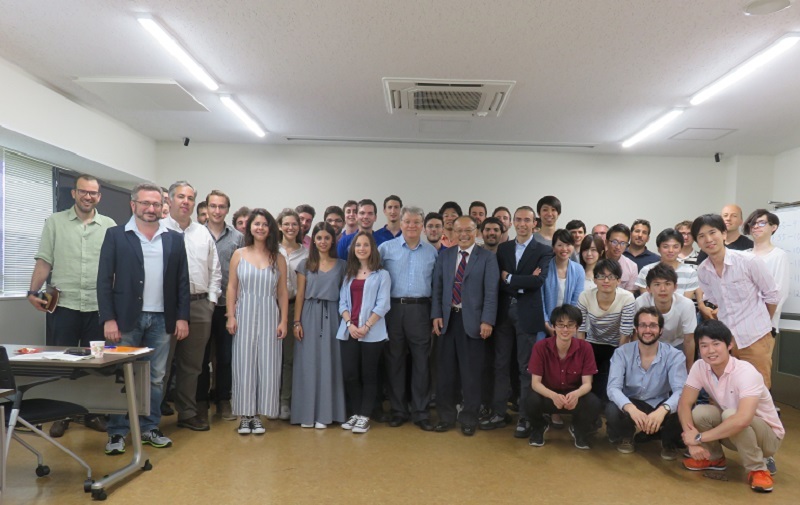 The course on structural dynamics is conducted in English for the new students of Nakashima-Kurata lab. 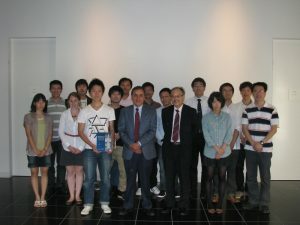 The well-known textbook ‘Earthquake Dynamics of Structures’, authored by Professor Anil K. Chopra, is used in the lectures. 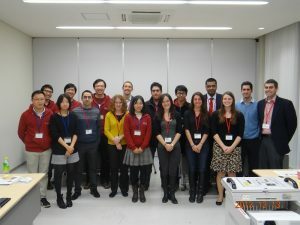 The students are asked to participate an associated course on excising the concept of structural dynamics in earthquake engineering problems using a high-level technical computing language, MATLAB. 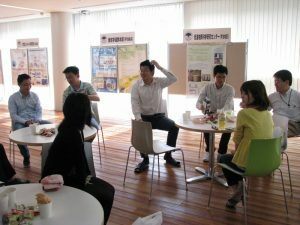 We hold coffee break once a week, to improve communication skills in English and to enhance understanding and sharing cultural difference among students from many countries. 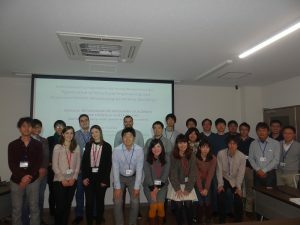 In supporting the “Science Dialogue Program”, JSPS Fellows in our group, working with Japanese students, give lectures for high school students in English on their research topics. 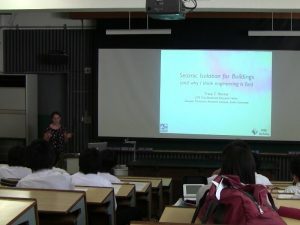 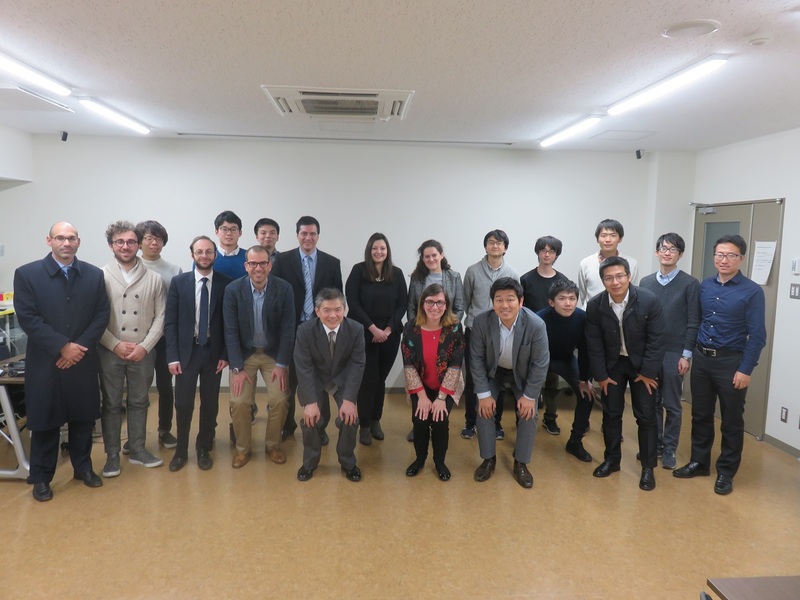 So far, several lectures including recent “Ocean ridge earthquakes and large-scale structures (2011)” and “Technology of structural base isolation (2012)” at Hikone-Higashi high school in Shiga prefecture were conducted. 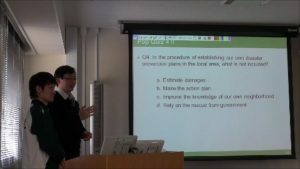 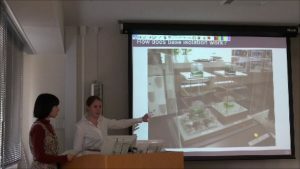 This series of lectures aim to enhance interaction between professors, young researchers and students, especially for giving high school students the opportunity to communicate with international researchers and students in English. 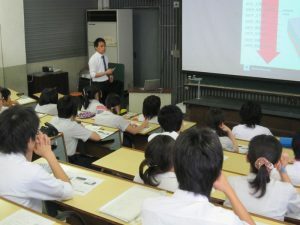 To facilitate understanding, fundamental content in the lecture was given in both English and Japanese. 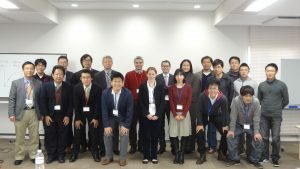 The current library includes lectures on “Seismic Protection System”, “Soil Liquefaction during Earthquake” and “Structural Health Monitoring System”.